Every month, I'm so fortunate to be able to test and play with a new Disney Hasbro Princess. It's sounds cliche even as I'm writing it, but Isabelle is in LOVE with every single one. Even little Maddie has been able to share in the fun. This month, the Princess I'm featuring is Merida from the Disney film, Brave. I didn't know how Isabelle would react to Merida because she hadn't seen the movie yet. But as soon as I opened up the box, she was won over. 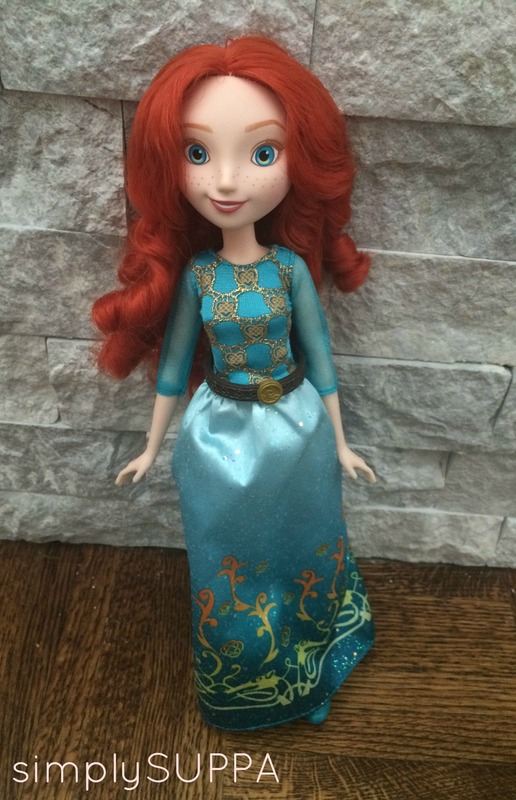 Merida has beautiful auburn hair and a silky blue dress with a belt. Each month, we discuss the qualities of the princess. I explained to her that Merida is passionate and brave. She loves being outdoors and is an impressive archer and swordfighter (which led to a whole lesson on archery and swordfighting; to my surprise, she knew about it already). Isabelle and Merida have similar feisty qualities; they're strong and strong willed, courageous and smart. I like that Isabelle and Madeline can see some of their own qualities in the Princesses -- a great way to make connections. The Little Kingdom collection doll fits into the palm of a 4-year-old's hand and comes with lots of teeny tiny pieces (caution if you have younger kids at home). Merida's dress can come on and off, and she can shoot her bow, play dress up, have a snack and hang out with her brother bear. 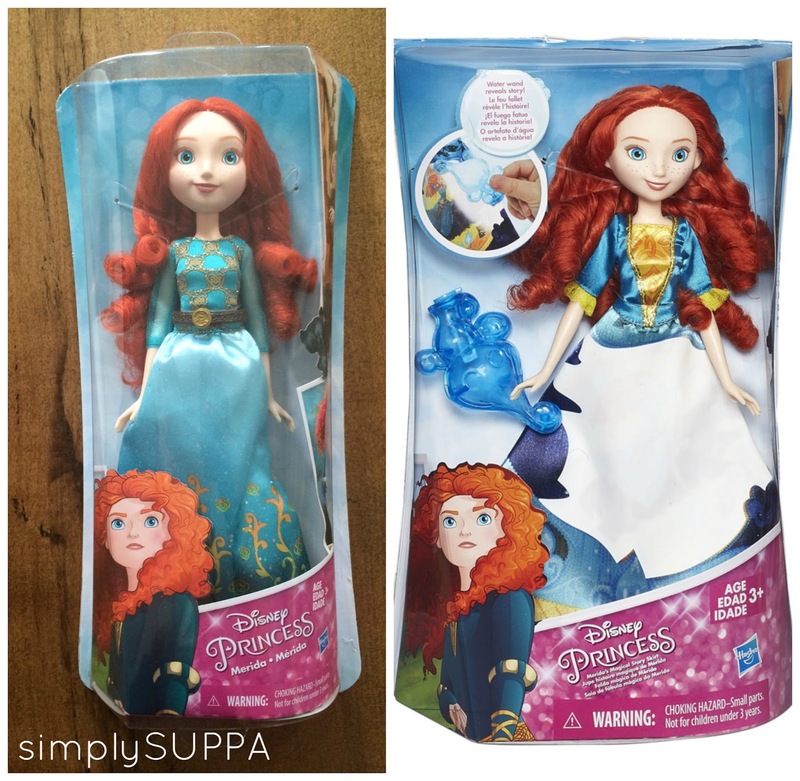 Of course, I want you to be able to play with this Merida collection for yourself! Simply Suppa is giving away a Merida Prize Pack. All you need to do is enter the Rafflecopter below.